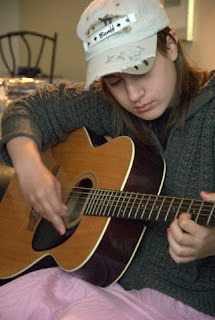 Her grandfather took this of her practicing - I never even knew she played. Maybe she's mentioned it...? Boy, do I feel like a lousy big-kid parent!